-- Associate Rector for Outreach, Pastoral Care, and Parish Life. The Rev. Ann Benton Fraser is a Louisiana native, hailing from St. Francisville and an enormous, beloved family. The first sparks of vocation crackled at the Episcopal Camp Hardtner, where Ann experienced the joy of serving in a community geared toward discovering Christ in others. An alumna of LSU, she worked in development in the non-profit world before heading to seminary. 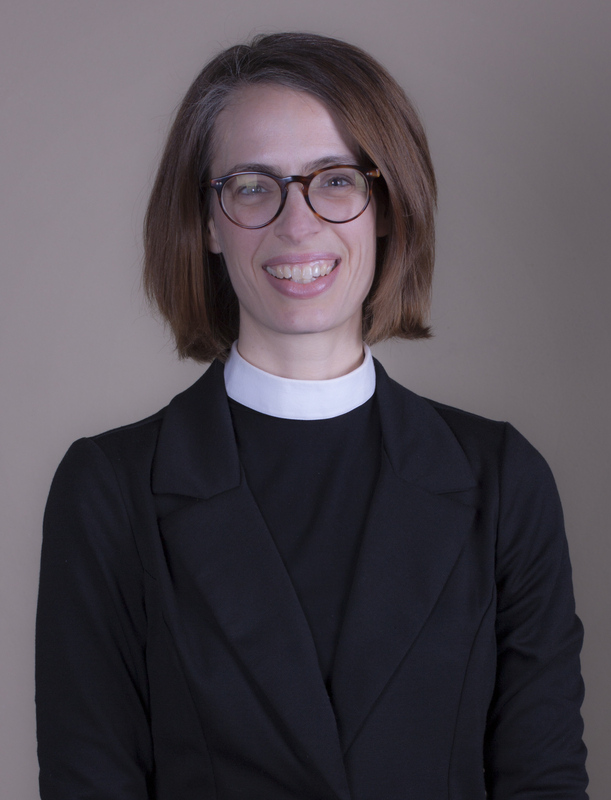 Upon receiving an MDiv from Sewanee’s School of Theology, Ann served for two years as a Lilly Fellow at St. James’ Church in Manhattan. She was then called as the first rector of St. Paul’s Episcopal Church in historic Corinth, Mississippi, where she served for more than 9 years. In early 2019, Ann joined the staff of St. Mark’s, following a call to participate in a ministry of caring and connecting in the name of Christ through community outreach, pastoral care, and church-wide events that help sustain the life of the parish. Ann loves wrestling with holy stories, getting to know people, reading, having quiet moments and loud ones, making messes in the name of arts and crafts, and spending time outside. Ann and her husband Andrew have two school-aged daughters, Susanna and Eleanor. -- Associate Rector for Liturgy, Adult Formation, and Family Ministry. The Rev. C. Matthew W. Wise grew up attending St. Francis Episcopal Church in the small town of Victoria, Texas. Upon graduating from Texas A&M University with a degree in English, Matt became the Director of Youth Ministries at St. Thomas Episcopal Church in San Antonio, the congregation that four years later sent him to seminary. After earning his MDiv from The School of Theology at Sewanee: The University of the South, Matt returned to the Diocese of West Texas and served four and a half years as the Associate Rector at The Episcopal Church of Reconciliation. During his last nine months there, he helped create a collaborative ministry that allowed him to also serve on the clergy staffs of St. Benedict’s Workshop and St. Mark’s. Matt was then called to work for the Bishop of the Diocese of Texas as Campus Missioner at Texas A&M University where he spent three years doing college ministry. In January of 2016, he returned to St. Mark’s as the Associate Rector for Family Ministry, Outreach and Parish Life. Matt and his wife, Amy, have boy and girl twins, Jacob and Sawyer.